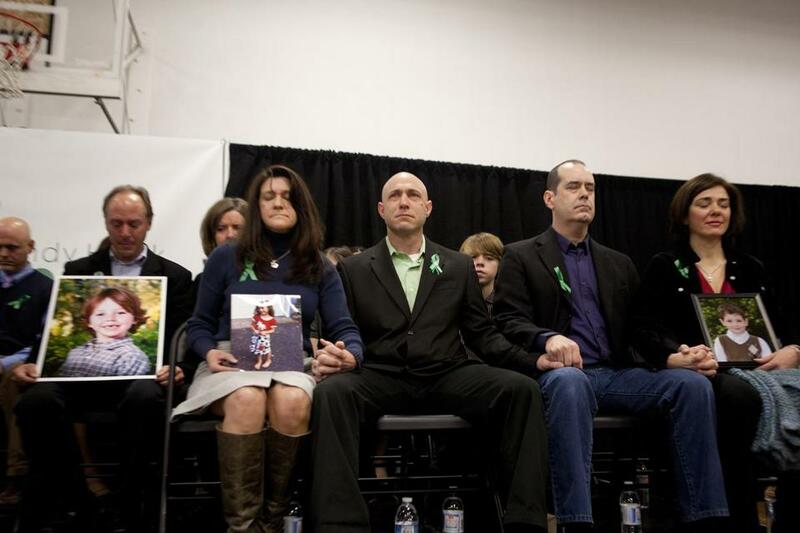 Jeremy Richman (center) with his wife Jennifer Hensel, who held a photo of their daughter, during a 2013 news conference. The father of one of the 20 children killed in the Sandy Hook Elementary School shooting in Connecticut has been found dead of an apparent suicide, police said. The body of 49-year-old Jeremy Richman was found Monday morning inside Newtown’s Edmond Town Hall, where he had an office, Newtown police said. An autopsy is expected Monday. 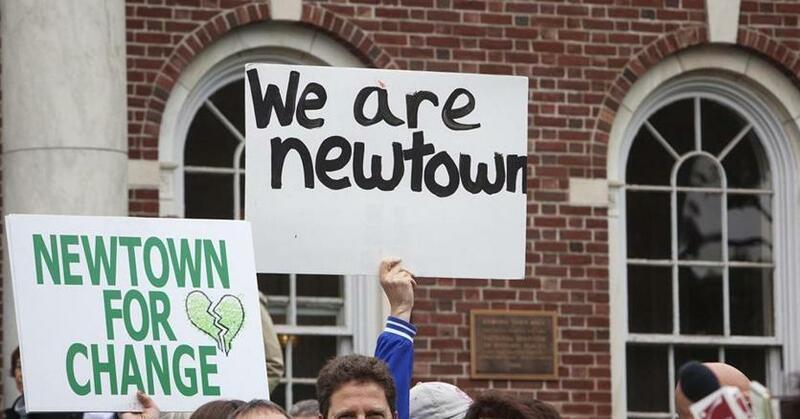 Residents held placards during a gathering outside Edmond Town Hall to observe the six-month anniversary of the massacre at Sandy Hook Elementary School in Newtown on June 14, 2013.